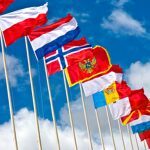 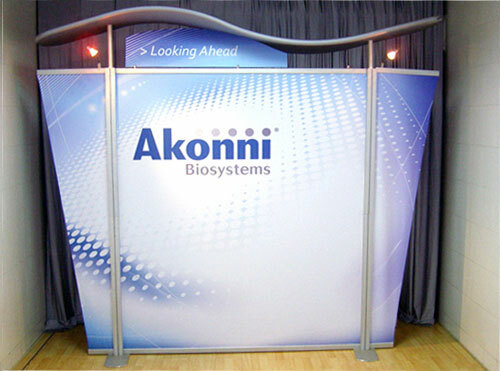 What makes the crowd flock to a particular booth at an expo or trade show? 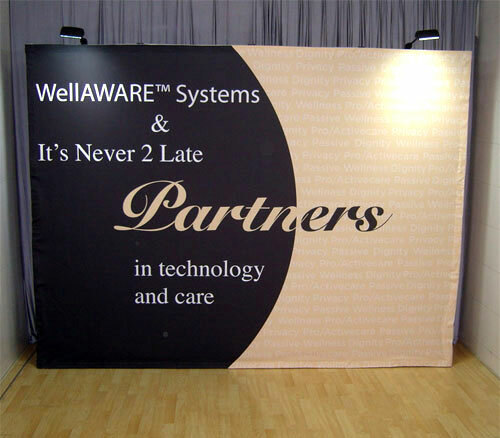 More often than not, they are drawn in by the unique and attractive displays they saw at the booth, and then stayed on to find out more about the exhibitor’s products and services. 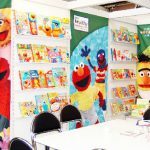 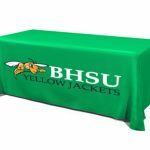 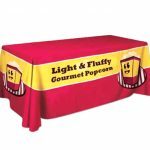 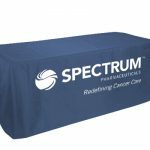 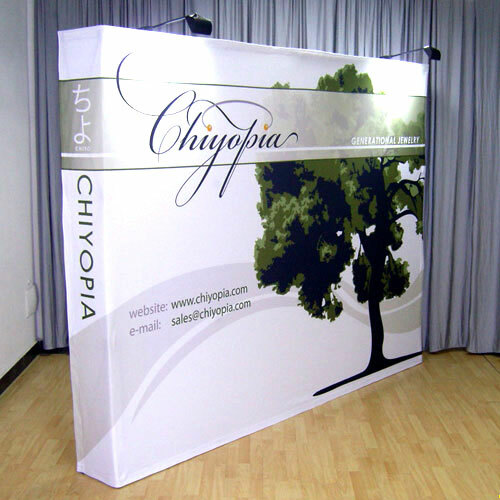 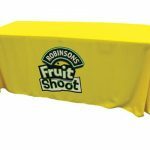 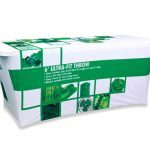 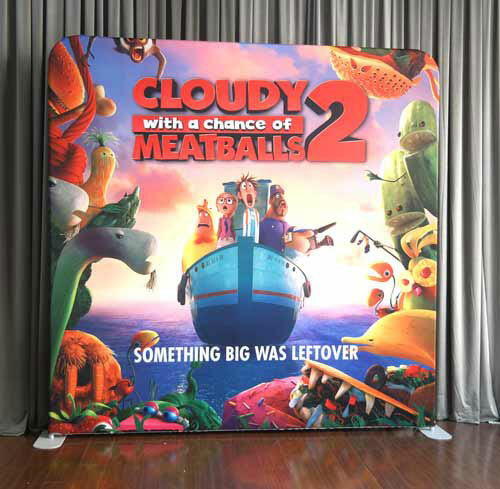 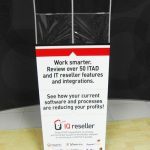 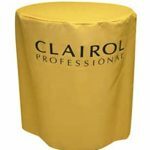 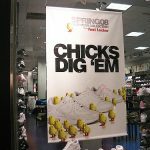 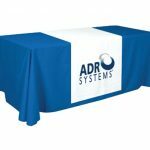 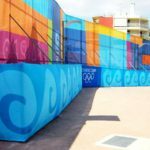 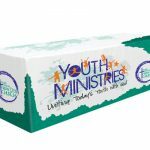 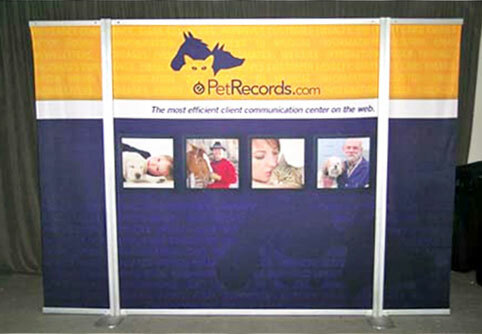 So, you need to put up outstanding and attention-grabbing decor at your booth to attract your intended audience, and you can do that by installing tension fabric banner stands. 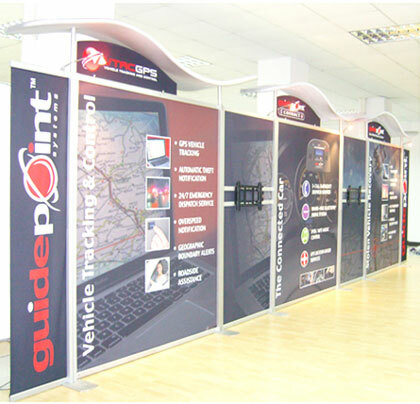 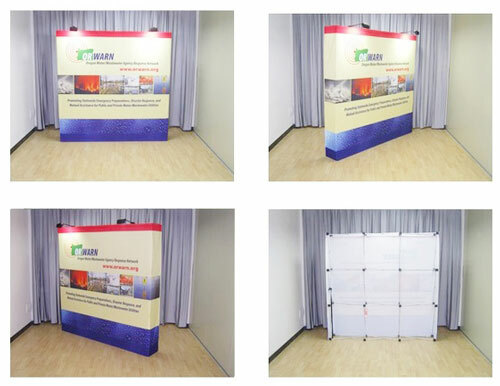 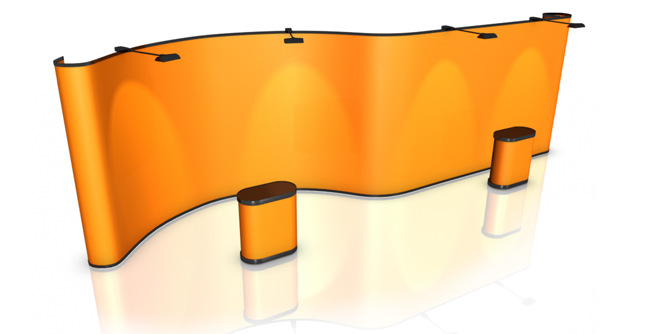 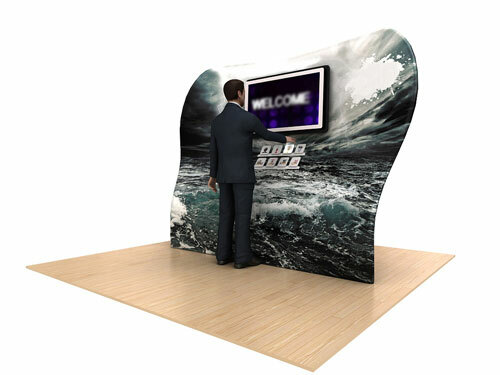 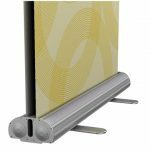 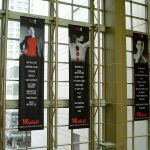 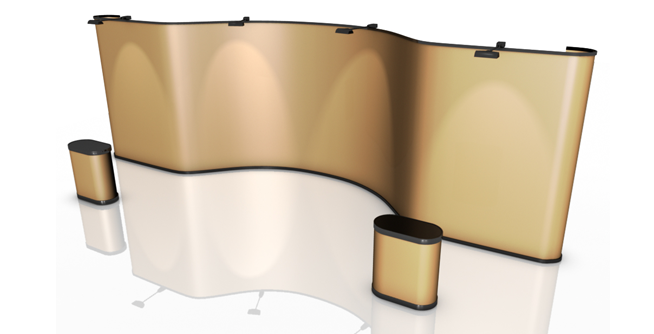 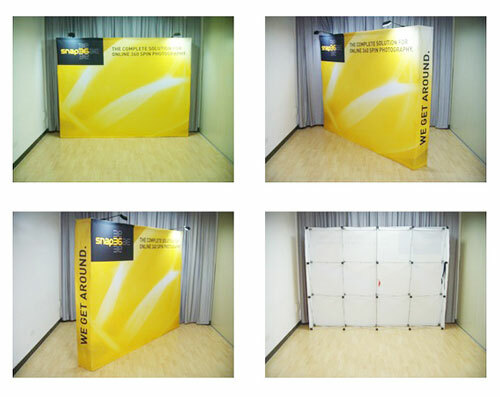 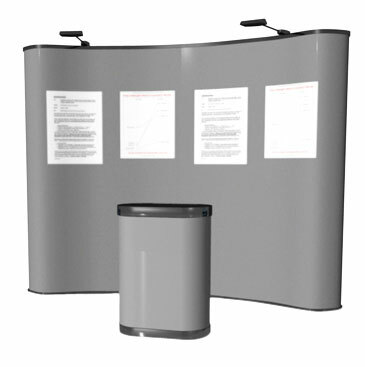 We have the ideal tension fabric displays for you to use. 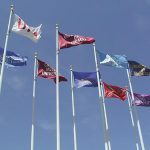 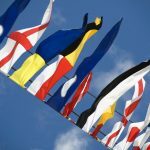 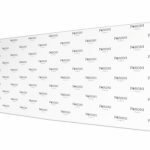 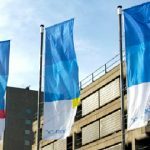 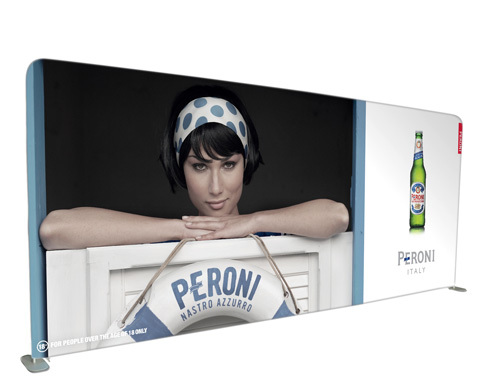 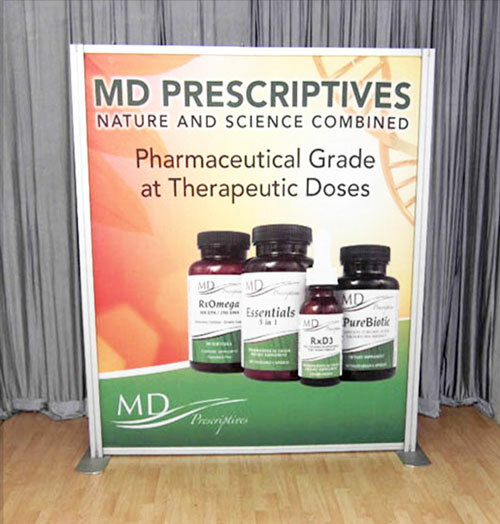 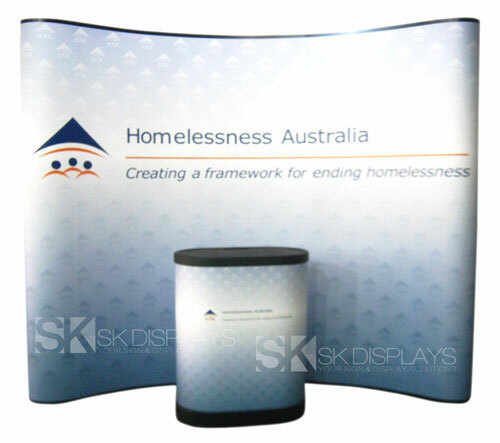 Our brandcusi double-sided angle top banner will certainly draw in the crowd with its brilliant colours and extraordinary asymmetrical shape, whether it’s at an expo or trade show, a shopping centre, or at a corporate or sponsored event. 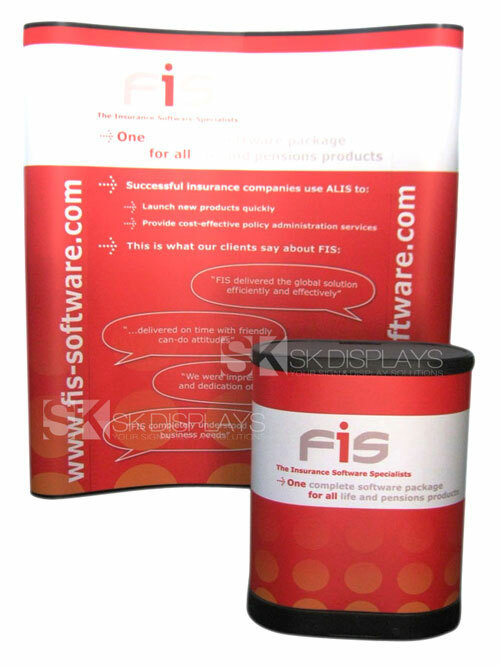 This tension fabric display is made up of an aluminium frame and a pull-up fabric graphic similar to a pillowcase. 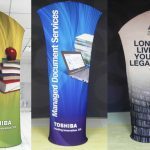 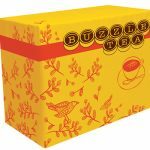 While its whimsical shape definitely attracts eyeballs, the real beauty of this display is in the quality of its fabric graphic. 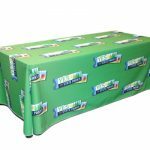 The images on the fabric are printed out using dye sublimation, the most advanced fabric printing technology available in the market today. 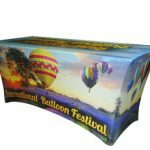 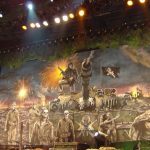 Dye sublimation works by using high levels of heat and pressure to “sublimate” ink – that is, to transform ink directly from solid to gas, completely bypassing the liquid stage. 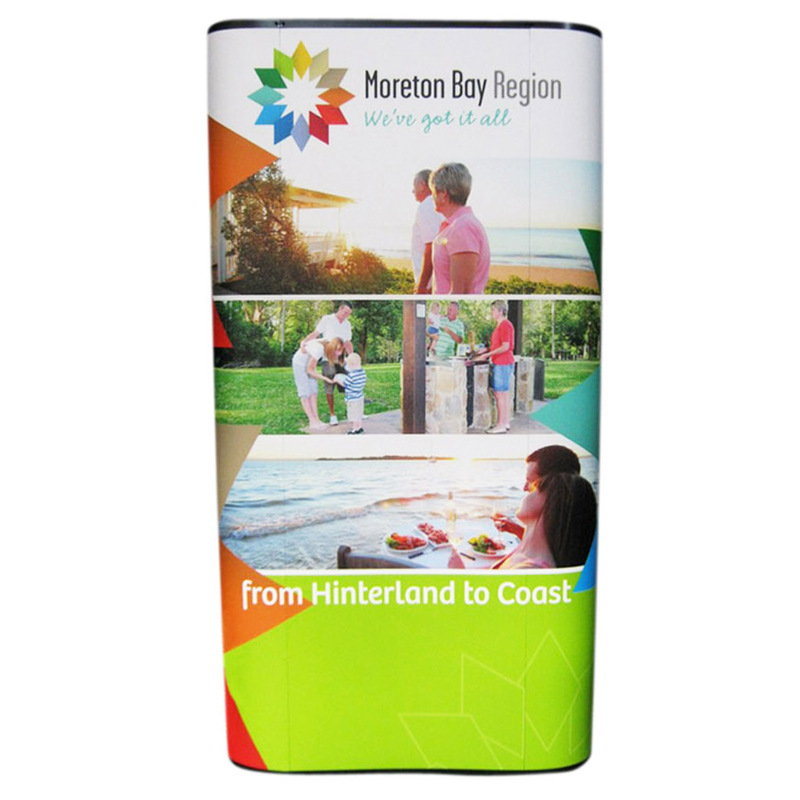 When ink is sublimated, it merges with the fibres of the fabric to create a permanent image. 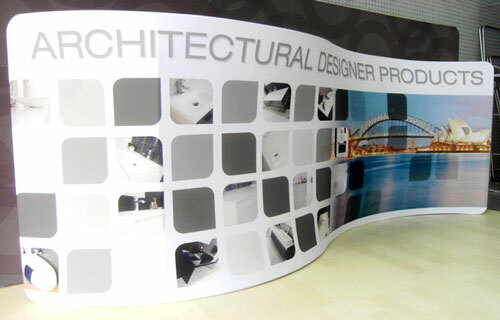 The resulting printout has sharp details and lifelike colours. 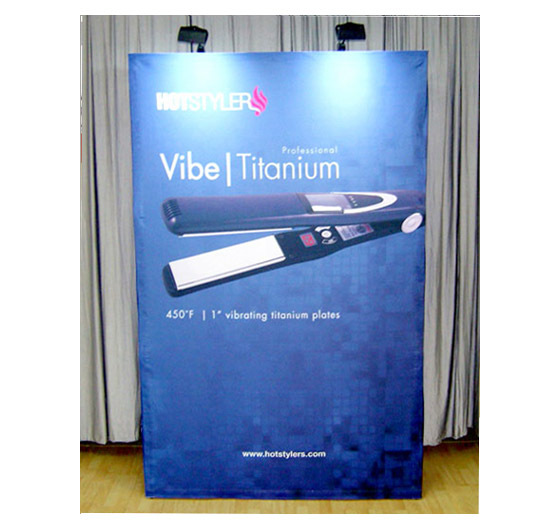 Moreover, it is highly resistant to damage and fading. 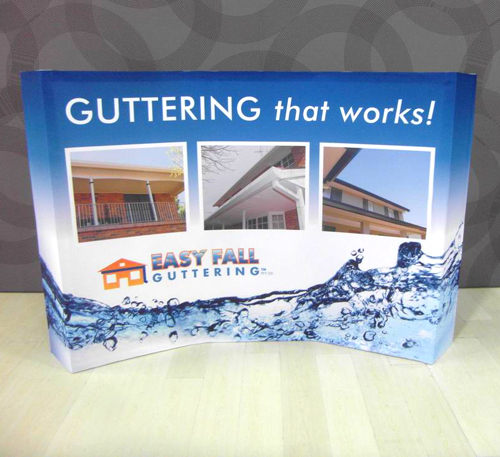 Besides being damage and fade-proof, these banners are also resistant to curling or wrinkling. 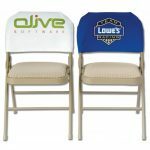 They will stay crisp and sharp even when exposed to the elements. 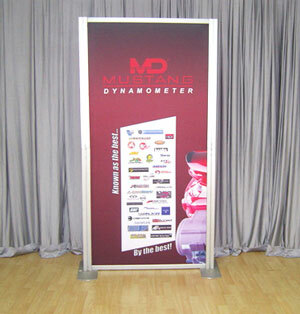 With all these qualities, you are sure to enjoy this banner display for a long time. 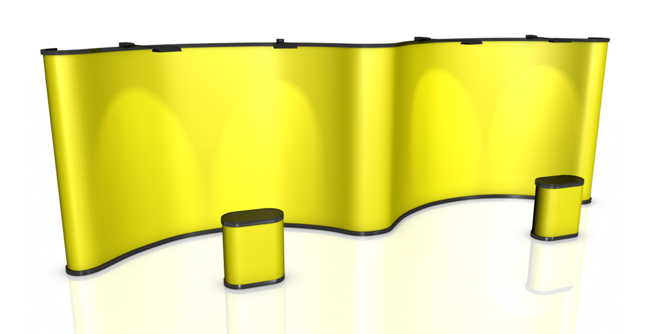 You won’t have to invest on new display modules any time soon. 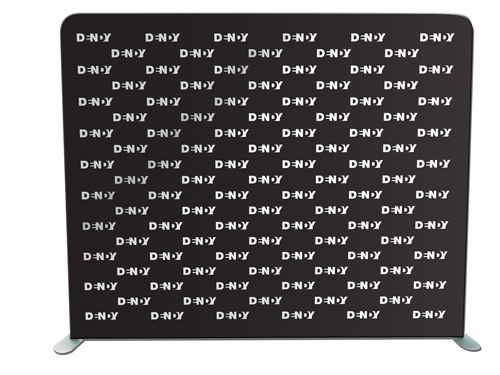 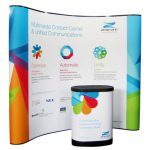 If you need a new graphic display, you don’t have to order a new set. 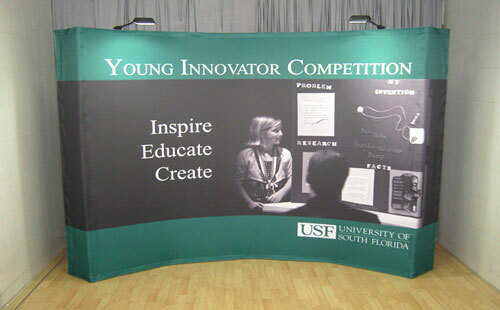 Instead, you can just keep the frame and buy a new fabric graphic. 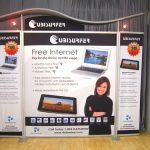 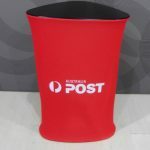 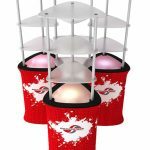 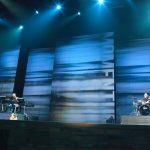 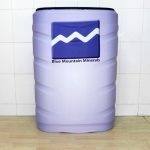 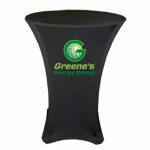 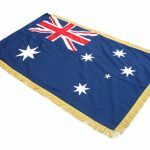 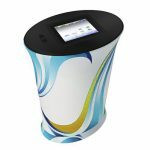 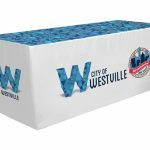 You can even use it for other events, not just at expos and trade shows, but also when displaying at shopping centres and at corporate events or events sponsored by your company. 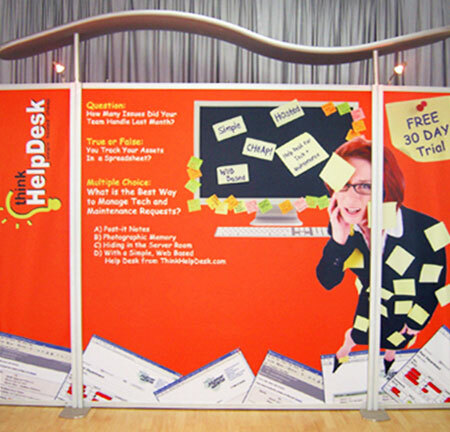 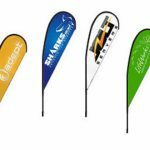 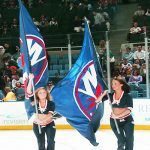 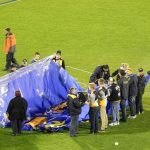 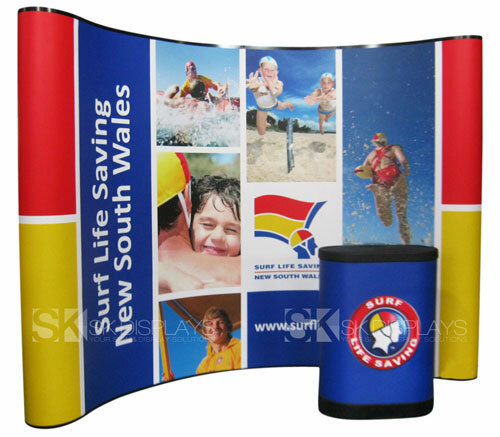 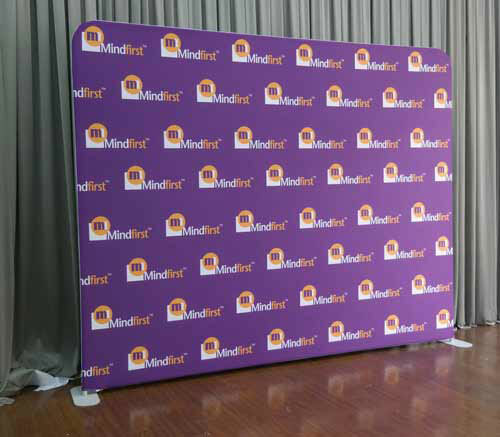 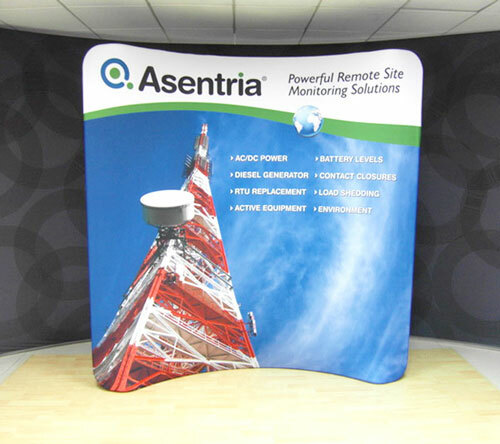 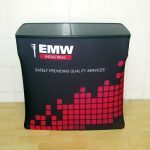 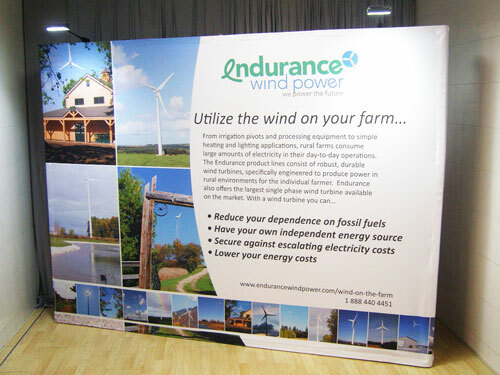 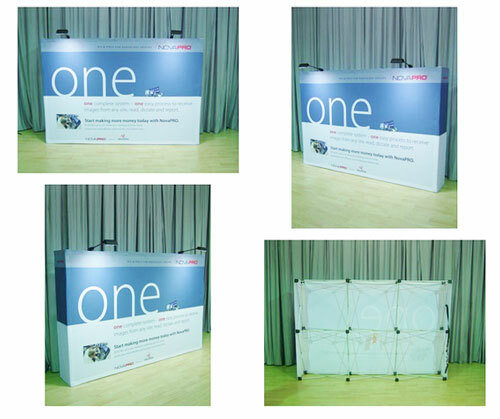 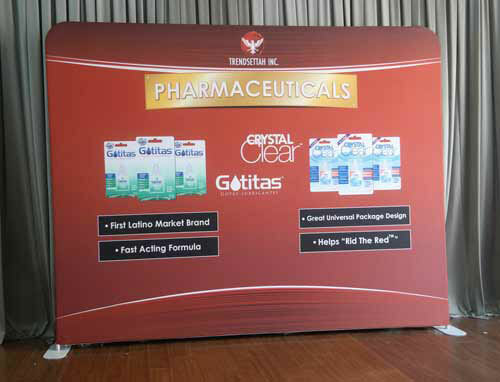 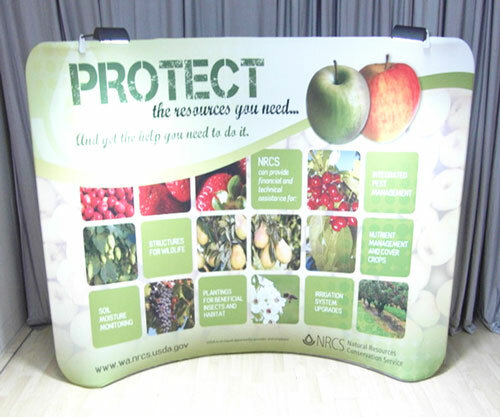 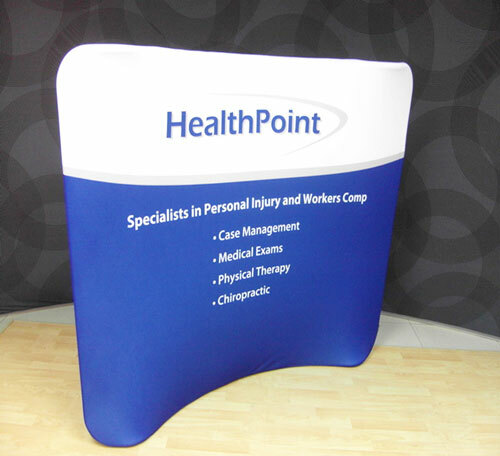 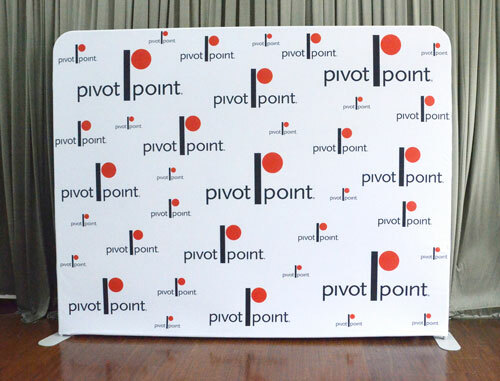 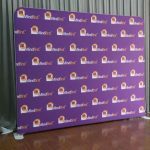 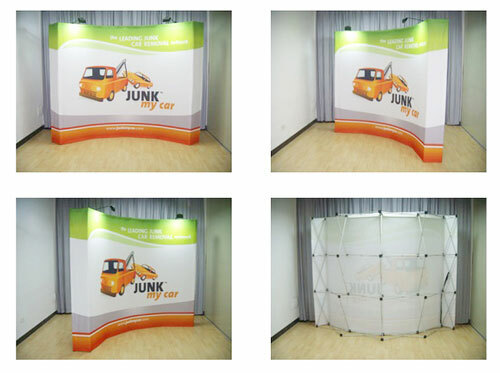 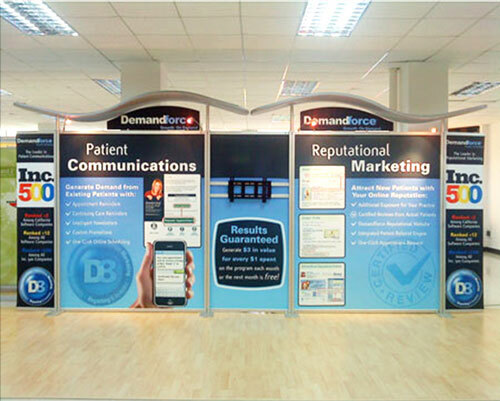 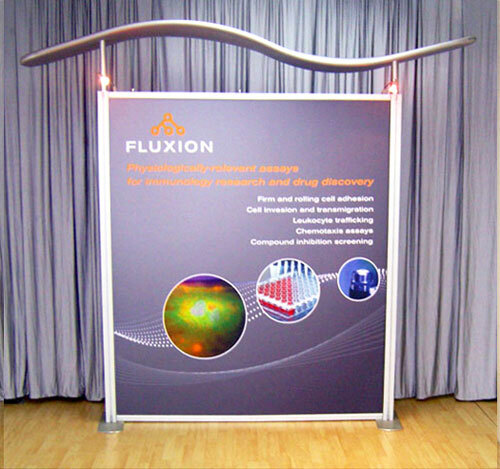 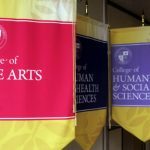 Despite its unique shape, our tension fabric banner stand is very easy to set up. 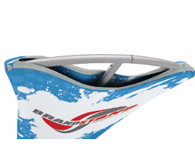 It comes bundled inside a moulded soft carry bag. 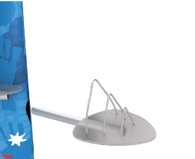 Just open the bag. 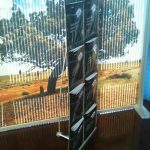 And then, you assemble the frame by unfolding the poles, locking these poles at the joints, and then attaching them together. 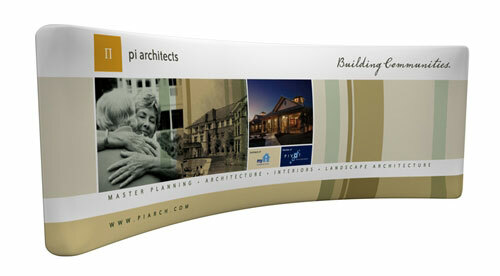 Then you pull the fabric banner over the frame, zip it at the top, and take it out of its carry bag. 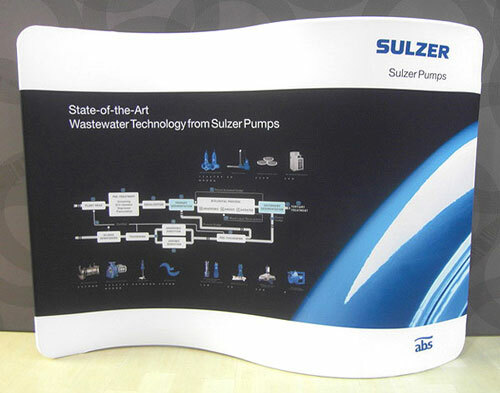 The whole process takes only five minutes. 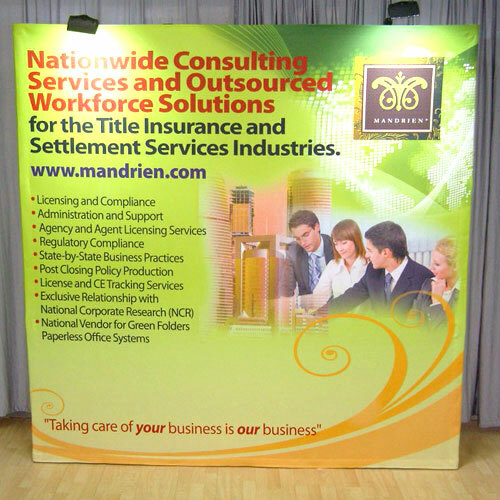 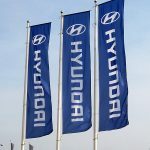 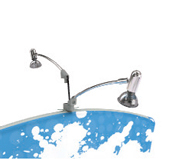 If you’re using halogen lamps as a spotlight for your banner, you can attach it at the top of the frame. 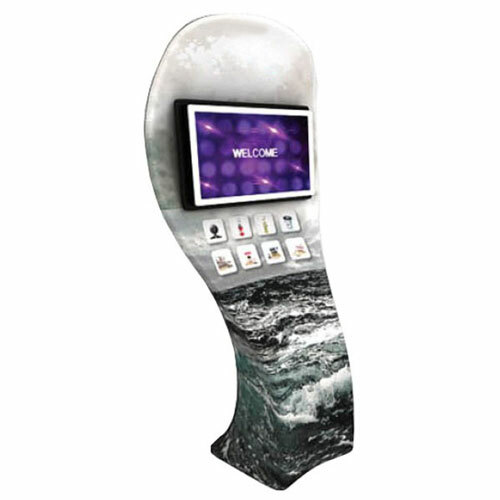 You can also easily slip on a shelf and a catalogue holder on the display as well. 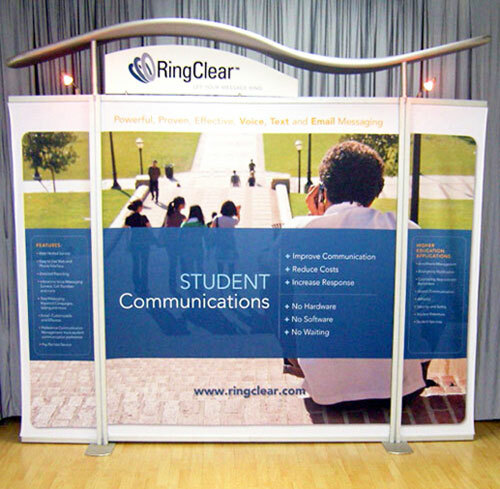 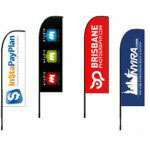 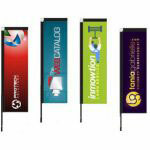 So you’ll a banner stand that is not just decorative but also functional. 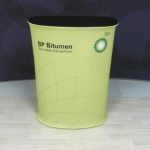 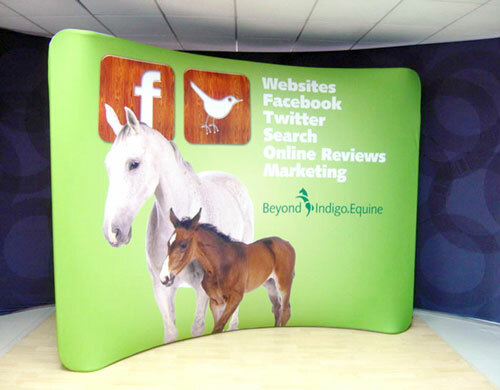 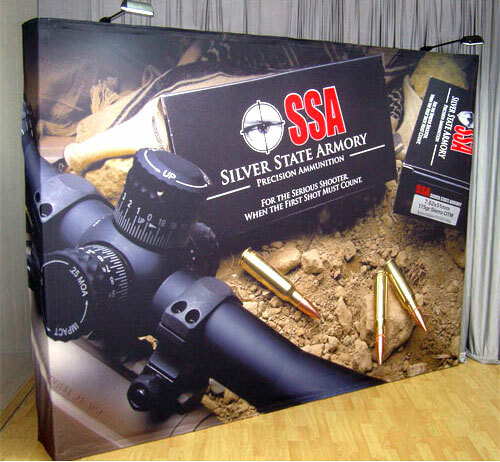 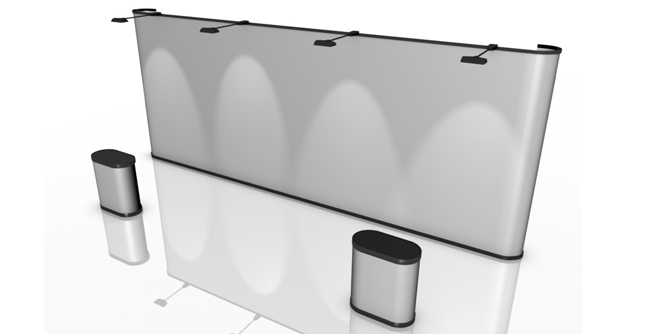 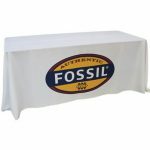 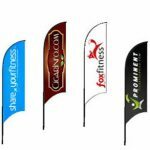 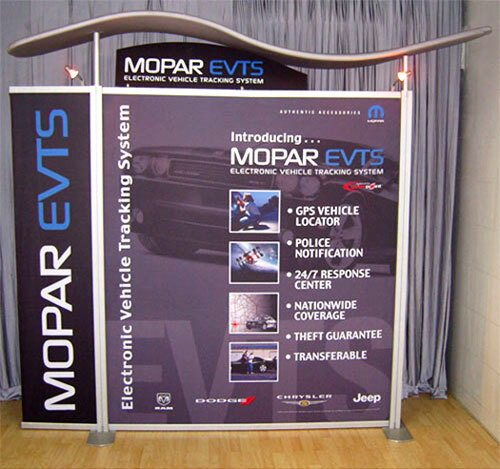 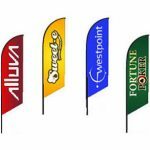 You’ll definitely get your money’s worth when you use our tension fabric banner stand. 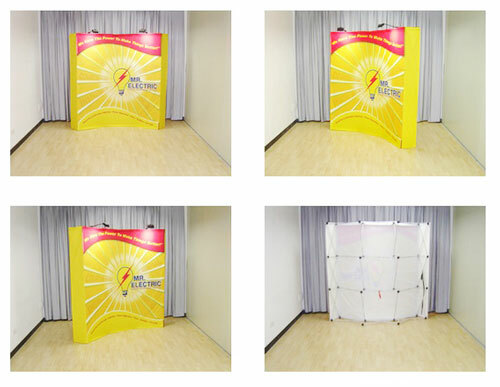 It is very attractive, it is easy to assemble, and it will last you a long time. 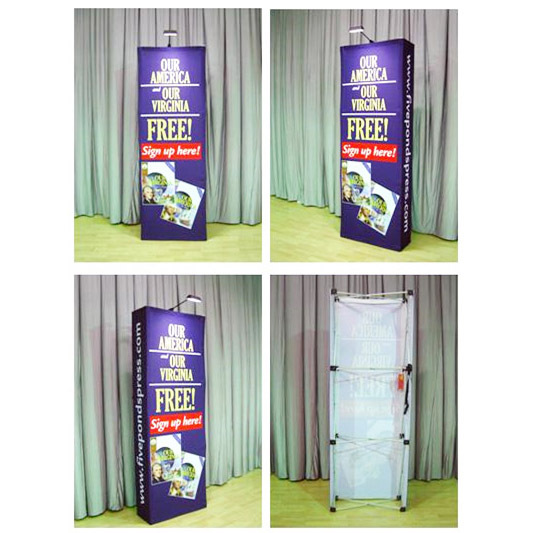 Call us right now for more details on this product. 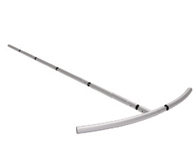 Take the aluminum pipes out and assemble, they are all corded. 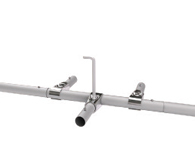 If you have shelves make sure that you attach the support socket on the uni-pole. 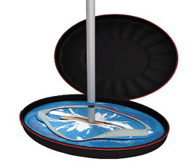 Fit the uni-pole to the base by sliding it on. 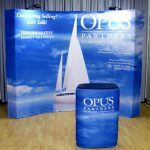 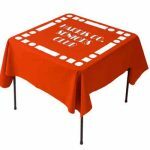 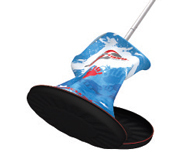 Now lift the fabric print to the top, tilting the stand towards you will make it easy. 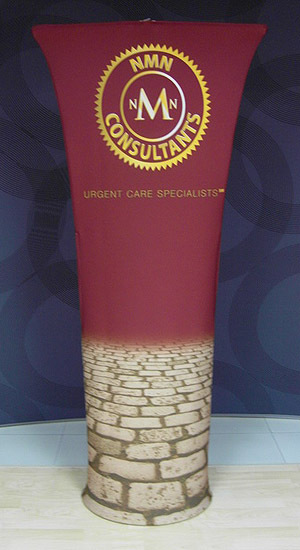 Stretch the fabric over the sides without putting lots of tension over the zipper. 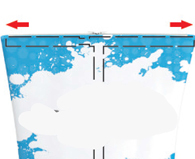 Zip up the print on both sides only half way. 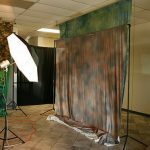 Note: if it is the straight top model,make profile shorter before lifting the fabric, pull the frame out after you zip it half way. 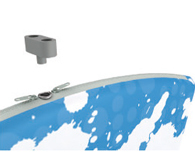 Place the base of the light fitting in the hole in the middle of the profile. 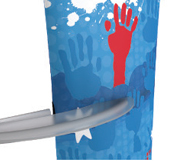 Fit lights on and run the electric cords inside the print, now pull zipper to the end. 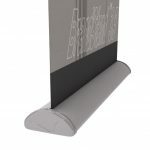 Slide shelve through the open slit in the print and fit it on the support socket. 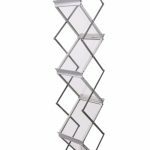 Same for the catalog holder.